FOOD TRENDS FOR 2018 SUPERFOOD PANDAN? Home » Latest News » FOOD TREND: SUPERFOOD OF 2018? As you know, I’m not one for superfood fads. The new ‘superfood of the moment’ holds little interest for me, because either something’s good for you all the time, or it’s not. But I do like to keep an eye on food trends in case there’s a healthy, seasonal ingredient that’s becoming more readily available that I can work into my recipes. Well, 2018’s cult ingredient looks set to be pandan, a green leaf that’s native to Southeast Asia. But what’s all the fuss about? 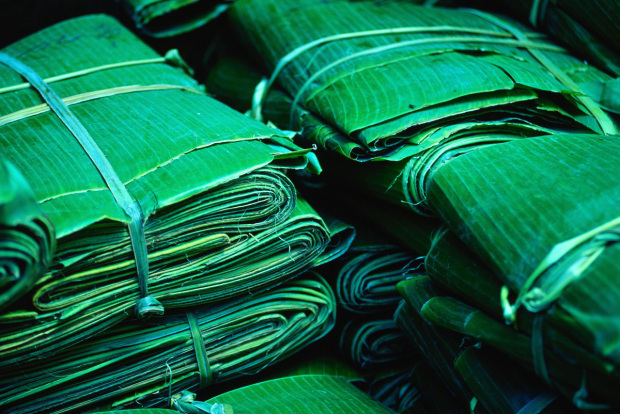 Pandan is a long green leaf, native to Southeast Asia that is often used in Thai, Chinese and Vietnamese cooking. I love Southeast Asian food, so if there’s any excuse to try out a new recipe you can sign me up! It was Nigella Lawson who recently tipped pandan to be next year’s hottest ingredient, describing it as the ‘new matcha’. While the pandan leaf isn’t exactly steeped in health benefits, it does apparently help fight sunburn and reduce stress. Rather than being blended up into health smoothies and soups, the sweet vanilla flavour of pandan means that as well as being used in Thai and Vientnamese dishes it is also a good vanilla or sweetener alternative in pancakes, cakes or custard. In fact, a good way to give this new ingredient a go at home yourself is to make a custard using pandan leaves and coconut milk. The verdict? While you’ll be hearing a lot about pandan next year, you can’t actually find the leaves in any UK supermarkets yet, so you might be better off sticking to your current favourites (matcha, avocado, kale…and all of last year’s crazes) if you want to avoid costly online orders. This entry was posted in Food & Travel, Latest News and tagged 2018, Pandan, Trend, Wendy Rowe. Bookmark the permalink.